PRIMESPORT, the Official Ticket & Hospitality Partner of 2019 CONCACAF Gold Cup, offers tickets, hospitality & travel packages to fit your CONCACAF Gold Cup needs so that you do not miss a second of the action! The soccer championship of North America, Central America, and the Caribbean -- or Copa de Oro as it is also known -- is held every two years. For the '17 tournament, the Gold Cup schedule kicked off July 7th with the first game of the tournament. Gold Cup group stage games ran from July 7th through July 16th, with quarterfinals on July 19th & 20th, semifinals on July 22nd & 23rd, all leading up to the CONCACAF Gold Cup Final on Wednesday, July 26th. Dates for the 2019 CONCACAF Gold Cup schedule have not been announced. Who is playing in the 2019 Gold Cup? The last CONCACAF Gold Cup featured 12 of the top teams from the region, including reigning champion Mexico, host nation USA, top contender Costa Rica, and nine other countries all vying for a spot in the Gold Cup Final: Honduras, Panama, El Salvador, Curacao, Martinique, French Guiana, Jamaica, and Nicaragua. In the history of the confederation's top tournament, Mexico leads the way with seven titles, followed by the United States with six (having won last year), and Canada with one surprising championship run. Where are CONCACAF Gold Cup games being played in 2019? 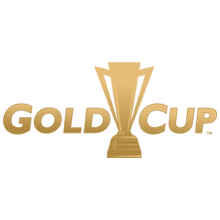 2019 will mark the 15th consecutive Gold Cup to be hosted in the United States. Oddly enough, games for last year's 14th consecutive Gold Cup in the USA was held across fourteen different stadiums, including a number of NFL venues, in 13 different metro areas (the greater Dallas area will host Gold Cup matches in both Arlington and Frisco, TX). Leading the way was Levi's Stadium in Santa Clara, CA, which recently hosted the Super Bowl and hosted the Gold Cup Final on July 26th, after those two teams were determined from the semifinals at AT&T Stadium in Arlington and the Rose Bowl in Pasadena. Lincoln Financial Field in Philadelphia and University of Phoenix Stadium in Glendale hosted four quarterfinal CONCACAF Gold Cup games between them, in what were some of the best soccer action of the entire '17 championship. Group stage matches took place at Red Bull Arena in Harrison, NJ, Nissan Stadium in Nashville, Qualcomm Stadium in San Diego, BBVA Compass Stadium in Houston, Raymond James Stadium in Tampa, Sports Authority Field in Denver, Toyota Stadium in Frisco, TX, FirstEnergy Stadium in Cleveland, and the Alamodome in San Antonio, home of the 2018 NCAA Final Four. You can buy tickets to the Gold Cup at PRIMESPORT.com for any and all matches of the 2019 CONCACAF Gold Cup. How do I buy Gold Cup tickets for 2019? Tickets, pregame hospitality, and travel packages for the 2019 Gold Cup can be purchased on PRIMESPORT.com. You can select individual Gold Cup tickets for any of the group stage games, all four quarterfinals, both semifinals, and of course, the Gold Cup final, all through PRIMESPORT, the Official Ticket, Hospitality, and Travel Partner of the CONCACAF Gold Cup 2019.